The Shingle Style is a distinctly American architectural style, debuting between 1880 and 1900 in New England. The style aimed to abandon the extravagant ornament of Victorian architecture, and the resultant aesthetic range distinctly represents a more informal massing and layout. Features often found in Shingle Style homes include the appearance of a continuous volume, emphasis on horizontality in form and floor plan, irregular roof lines, porches, and eaves on several levels. Located in a historic neighborhood, Incite’s Washington Street project called for an addition and remodel of an existing single family home. The existing home sported distinctive rafter flares that both Incite and the client aimed to retain throughout the design process. To further distinguish the home, shingle flares were added at the first and second floor lines of the façade. The flares soften the mass of the home with a more delicate finishing detail and emphasize the horizontality of the home. Washington Street has made a complete transformation, not only by developing a spacious layout that will serve a growing family, but by incorporating distinctive details, such as the shingle flare, to elevate the classic aesthetic of the house while keeping the historic style in mind. Incite works to be innovative in our use of materials and our consideration of the construction process during design. Recently, we have utilized structural wood decking in several applications where maximum ceiling height was desirable, but was limited by available floor to ceiling space. While structural wood decking is beneficial to maximize ceiling height, it does not allow ductwork, electrical, or plumbing elements to be hidden within the floor structure. Therefore, these elements must be rerouted to accommodate the location of the decking, or the systems become exposed and integrated into the design. 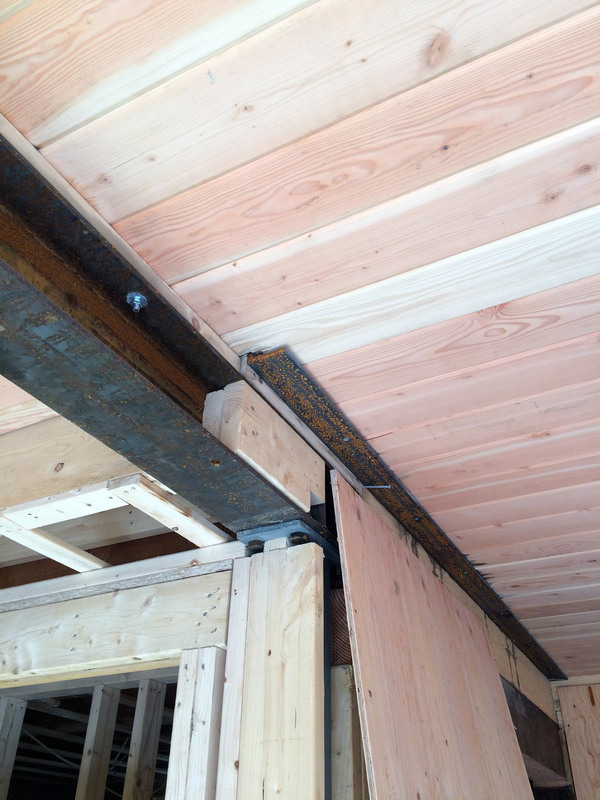 These pictures show how we combined a traditional framing system and the structural wood decking at Modern Redux. The steel angle in the right half of the photo will be used to support one end of the decking. Incite examines the design goals and the available space of each project, and develops creative details that adapt structural and functional requirements to meet design goals. We would like to extend a congratulations and welcome home to the Starter Redo family. After the final touches were completed on their home last week, the family moved back into their newly renovated home. With spring around the corner, energies can now turn to the garden and outdoor spaces. 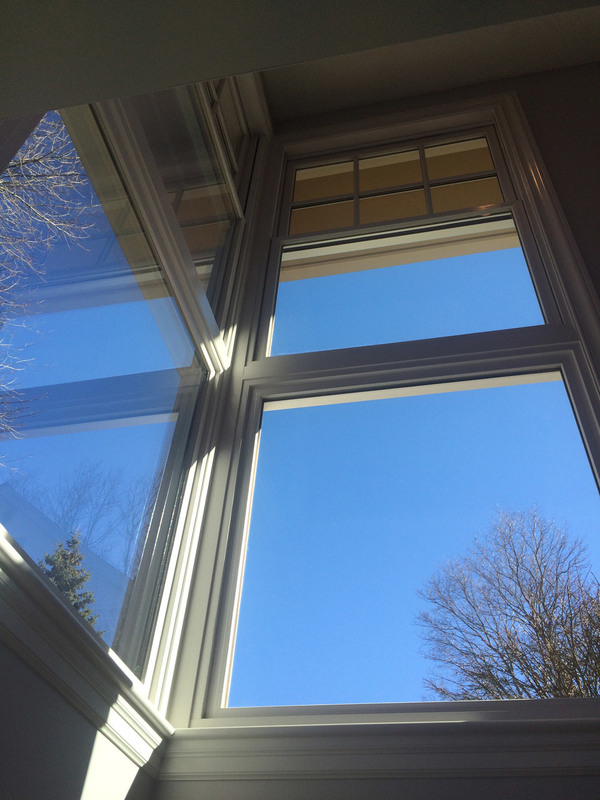 The young family of five needed more space to grow and their new home provides a spacious, cohesive layout, while providing necessary private areas, and more windows that bring light to each space. We were thrilled to provide this family with a design that met all of their goals. Enjoy your new home! A starter home is one that is affordable and has the ability to adapt with a young family. In an established town like Lexington these conditions can be difficult to find. Fortunately, there are still some neighborhoods that were developed when zoning did not exist or was much more liberal than it is today. Oftentimes, these neighborhoods provide the perfect, small communities that young families are seeking. 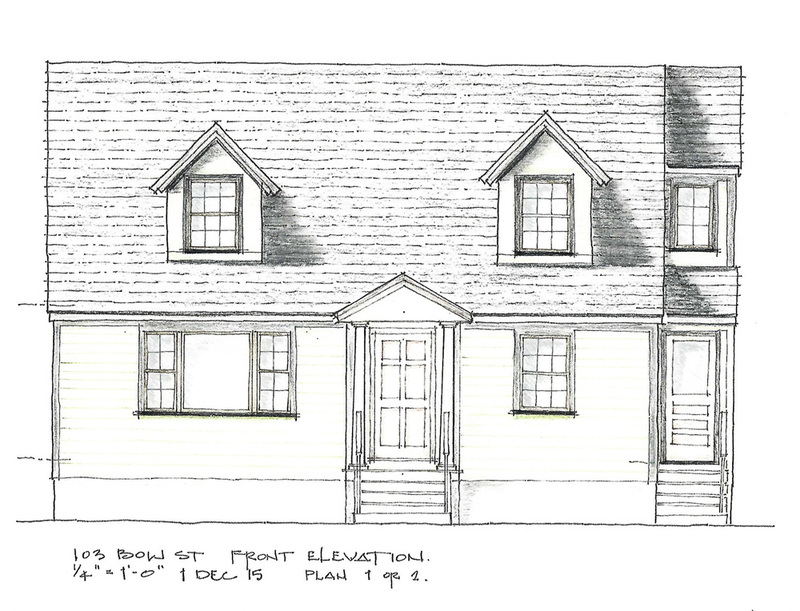 This petite house on its small, corner lot proved to be a great candidate for our client, a young yet growing family. Nothing about the lot or existing home meets current zoning. The sensible way to expand the home is to fill in voids in the footprint within the overall extent of the existing structure and consider building up. Being a Cape, much of the potential second floor is made uninhabitable by the one-story roof. We could remove the roof and build a full-size second floor with an entirely new roof, but we are talking starter home, which means modest budget and modest program goals. The challenge is to try to get three bedrooms at the second floor so that the parents and two young children can be on the same floor, with a full bathroom to share. Incite offered the client several options that both expanded their square footage and improved the quality of space with modest and affordable, yet functional design features.